ROME, Feb 15 2017 (IPS) - The most severe drought in decades, which has struck parts of Ethiopia and is exacerbated by a particularly strong El Niño effect, has led to successive failed harvests and widespread livestock deaths in some areas, and humanitarian needs have tripled since the beginning of 2015, the United Nations warns. East Africa’s ongoing drought has sharply curbed harvests and driven up the prices of cereals and other staple foods to unusually high levels, posing a heavy burden to households and special risks for pastoralists in the region, the United Nations food and agricultural agency on Feb. 14 warned. “Sharply increasing prices are severely constraining food access for large numbers of households with alarming consequences in terms of food insecurity,” said Mario Zappacosta, a senior economist for the UN Food and Agriculture Organization (FAO). Local prices of maize, sorghum and other cereals are near or at record levels in swathes of Ethiopia, Kenya, Somalia, South Sudan, Uganda and Tanzania, according to the latest Food Price Monitoring and Analysis Bulletin (FPMA). Somalia’s maize and sorghum harvests are estimated to be 75 per cent down from their usual level. In Tanzania, maize prices in Arusha, Tanzania, have almost doubled since early 2016. In South Sudan, food prices are now two to four times above their levels of a year earlier, while in Kenya, maize prices are up by around 30 per cent. Beans now cost 40 per cent more in Kenya than a year earlier, while in Uganda, the prices of beans and cassava flour are both about 25 per cent higher than a year ago in the capital city, Kampala. Drought-affected pastoral areas in the region face even harsher conditions, the UN specialised agency reports. 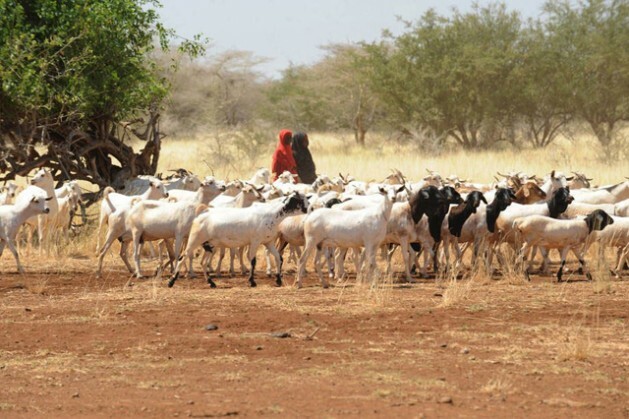 In Somalia, goat prices have fallen up to 60 per cent compared to a year ago, while in pastoralist areas of Kenya the prices of goats declined by up to 30 per cent over the last 12 months. Shortages of pasture and water caused livestock deaths and reduced body mass, prompting herders to sell animals while they can, as is also occurring in drought-wracked southern Ethiopia, FAO reports. This also pushes up the price of milk, which is, for instance, up 40 per cent on the year in Somalia’s Gedo region. According to the Rome-based agency, Ethiopia is responding to a drought emergency, triggered by one of the strongest El Niño events on record. Humanitarian needs have tripled since the beginning of 2015 as the drought continues to have devastating effects on the lives and livelihoods of farmers and pastoralists — causing successive crop failures and widespread livestock deaths, it reports. Food insecurity and malnutrition rates are alarming with some 10.2 million people in need of food assistance. 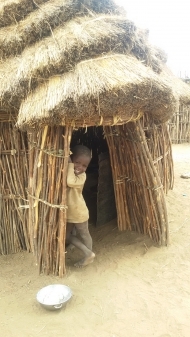 FAO also reports that one-quarter of all districts in Ethiopia are officially classified as facing a food security and nutrition crisis — 435 000 children are suffering severe acute malnutrition and 1.7 million children, pregnant and lactating women are experiencing moderate acute malnutrition. More than 80 per cent of people in Ethiopia rely on agriculture and livestock as their primary source of food and income, however, the frequency of droughts over the years has left many communities particularly vulnerable. Significant production losses, by up to 50-90 percent in some areas, have severely diminished households’ food security and purchasing power, forcing many to sell their remaining agricultural assets and abandon their livelihoods. Estimates in early 2016 by Ethiopia’s Bureau of Agriculture indicate that some 7.5 million farmers and herders need immediate agricultural support to produce staple crops like maize, sorghum, teff, wheat, and root crops, and livestock feed to keep their animals healthy and resume production. Hundreds of thousands of livestock have already died and the animals that remain are becoming weaker and thinner due to poor grazing resources, feed shortages and limited water availability, leading to sharp declines in milk and meat production. The FAO Ethiopia El Niño Response Plan aims to assist 1.8 million vulnerable pastoralists, agro pastoralists and smallholder farmers in 2016. To achieve this, the UN food and agriculture will prioritize agricultural production support in order to reduce the food gap, livestock interventions to protect the livelihood assets of pastoralists and agro pastoralists, and activities to enhance the resilience of affected communities through coordinated response. As part of the emergency response, FAO has been providing planting materials to help seed- and food-insecure households in the worst affected regions plant in the belg and meher seasons. In an effort to preserve livestock, it has been distributing multi-nutrient blocks in pastoral and agro-pastoral areas to strengthen livestock and bolster the resilience of the cooperatives that produce them. Survival animal feed is also being provided to help farmers produce fodder and improve access to water for livestock. Herds across the country have also benefited from vaccination and treatment campaigns to address their increasing vulnerability as a result of drought. In Ethiopia’s Somali Region, FAO is enhancing the financial stability of drought-affected households through the purchase of weak sheep and goats for immediate, local slaughter – and providing the meat – rich in protein – to nutritionally vulnerable drought-affected families. The intervention will help reduce stress on available feed, enable households to focus their resources on their remaining productive animals, and invest in productive assets. How about the effects of man-made weather conditions instead of blaming the so-called ‘el niño’ effect. They can make it rain anywhere they want now (or not) through wheather manipulation so why choosing Africa to dry out? Or is it that they want their drought resistant gmo’s to take over and enslave the population once more? Don’t trust anything that comes from the UN. It has the facade of a humanitarian help agency but all it does is keeping the people enslaved so the elite can continue to rob the country of it’s natural wealth.